On Saturday a lunatic, a beast and a cerebral assassin invaded night Toronto, Canada. 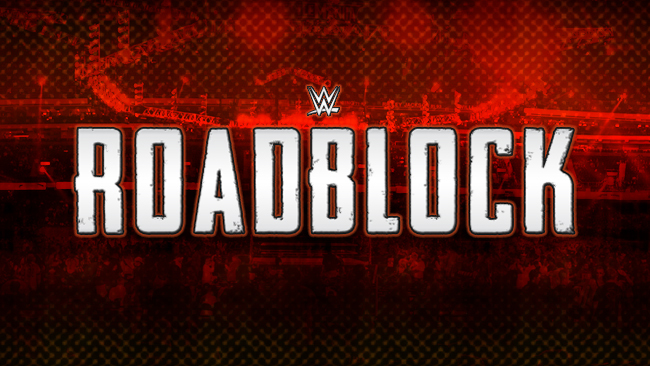 WWE Roadblock proved to be more than just a glorified house show for the promotion with enough high notes to make you forget about the lackluster card going in. Before the first bell was struck WWE had just announced four matches on the card causing many to wonder if the event would be any good at all. However, with appearances by Canada’s own Chris Jericho, Sami Zayn and Natalya Niedhart help spur the show into something great. The curtain jerker between the New Day and the League of Nations was good but not great. Kofi, Big E and Wader Barrett delivered good in ring action but with little build up it left me wanting more out of this feud. The match also did little to push the Tag Team championship storyline further unlike their NXT counterparts. The Revival and Enzo and Big Cass gave the crowd a great show. Good old school wrestling was on display. Cass and Enzo were the clear faces in this feud and the crowd ate it up. Dash and Dawson are truly enjoyable and I hope that they connect with people on some level. Their ring work and use of underhanded but old school tactics is refreshing. The match had a good flow to it and the use of Carmella, as a shield was a trick out of Ted Dibiasie’s book all leading to the Revival holding up to their NXT Tag Team titles. The show was bolstered by plenty of homegrown talent as well. The crowd popped big for Winnipeg’s Chris Jericho only to be backstabbed by a stinging heel promo by the Fozzy front man. His match with Jack Swagger was filler at best but at least it showed that Jericho could work a heel program leading into WrestleMania. Natalya and Charlotte also showed why the young Flair deserves to be on the main roster. It harkened back to their NXT: Takeover match that was a match of the year candidate. Solid mat work from the two and good ring psychology kept the crowd from turning on the match. Natalya displayed that she can still be a player in the Diva championship scene. Having the Hart family member kick out f the KO finisher was refreshing and frankly exciting. Flair still showed that she needs work as a heel but played her part masterfully. Montreal was also represented with Sami Zayn facing off against Stardust. Both men showed why the company undervalues them. It was a good showing by both men with nothing to write home about but enough to show why Zayn and Owens may have a match at WrestleMania. Bray Wyatt has some heel heat coming out of Roadblock with him not even competing in his match against Brock Lesnar. Harper took the brunt of the Beast’s punishment taking over 9 suplexes from Lesnar. Wyatt watched from the outside as Harper took the beating meant from him. Does Wyatt have a gauntlet in mind for Lesnar? This match is a slow build for the Beast. They most likely will work at Summerslam with tonight’s match being the first seed being sown for the two. The highlight of the night was the WWE Heavyweight championship match between Triple H and Dean Ambrose. Ambrose walked into Toronto looking to change the WrestleMania main event. Ambrose worked the Game’s knee in a change of pace for the “Lunatic Fringe.” Triple H showed why he is one of the industry’s great heels. Taking his fair share of bumps the COO performed admirably which could make the Reigns vs. Triple H main event at WrestleMania something to watch. The ring general helped the young Ambrose look strong and much more intelligent than his in ring style dictates. Locking in the sharpshooter in Canada made the crowd grow hot. The fluky finish added something to the match that few of these types of finishes do. The hard-hitting match made the crowd start screaming this is awesome something that I feel that is a testament to Ambrose. The Game coming out on top was almost predestined but the match was a good showing for the 14-time world champion. Roadblock was better than the card made it out to be. An enjoyable house show that was better than most pay per views with few lows and plenty of high spots. Lets see what the rest of the road to WrestleMania has in store. NXT Power Rankings: The Samoa Joe Era Begins?